Experience Ayers Rock and it's many colors on this exciting 2-day tour. You'll see the sunset and sunrise over Uluru (Ayers Rock), visit the Mutitjulu Waterhole, hear Aboriginal legends of the Anangu people, drive out to the 36 awe-inspiring red domes called Kata Tjuta (The Olgas) and learn about the rare plants and geology of this special place. This two day independent stopover includes some the highlights of Uluru (Ayers Rock). 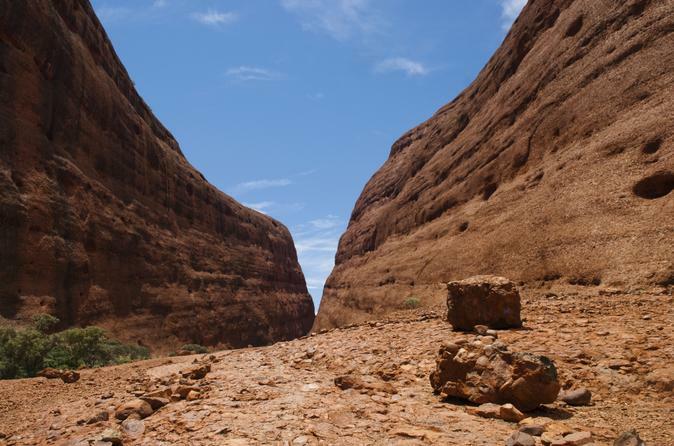 Marvel at the wonder of Ayers Rock and the beauty of The Olgas. Includes an overnight at the Ayers Rock Resort. Maximum of 3 passengers per room. If you are traveling with a party of 4 travelers or more, you must make 2 separate bookings.